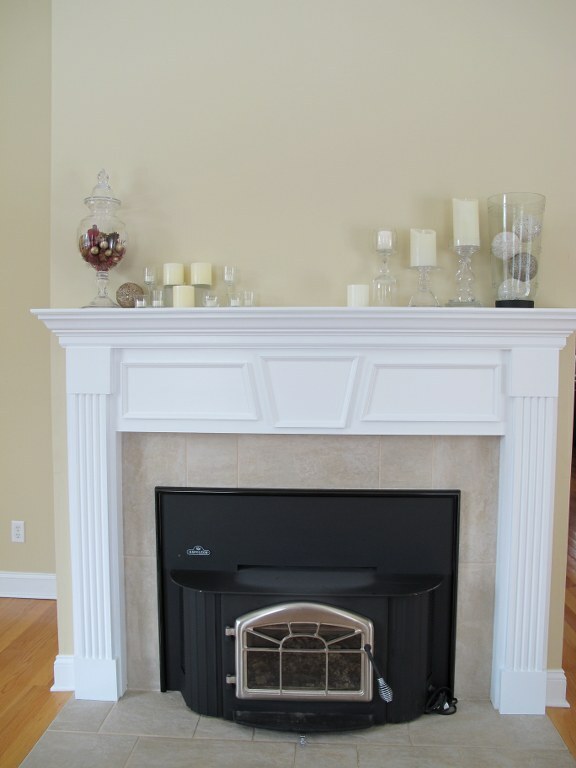 I’ve always wanted a fireplace and I finally have one in our family room! In the seven months that my husband and I have lived here, I’ve changed the mantel décor probably four times so far. I love switching it up and seeing what works best or changing it to match the season or holiday. I adore the monochrome look, but alternatively, you can do as many colors as you like to coordinate with your own décor. Candle displays are perfect for any time of the year. 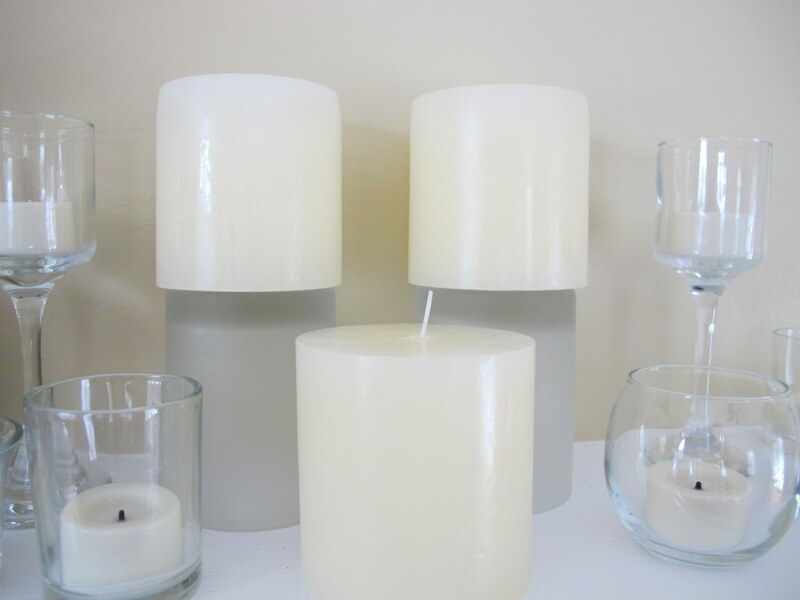 Candles coordinate with any style, whether it be a modern, country, or minimalist look. 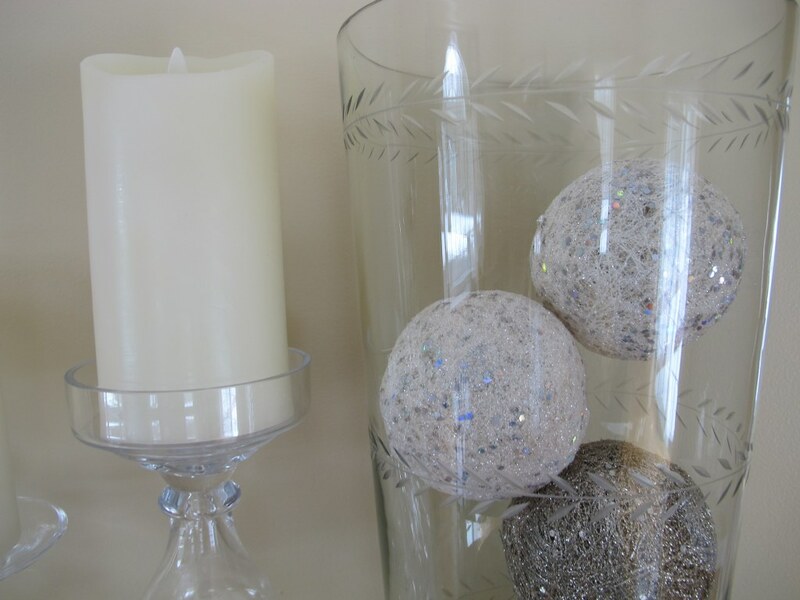 Using different candle heights create more interest and depth in a vignette. When I was setting up this vignette, I actually found that I didn’t have as many cream colored candles in the heights that I wanted. So in order to add varying heights for the candles I turned two votives upside down to use as two bases for two of the candles in the background. 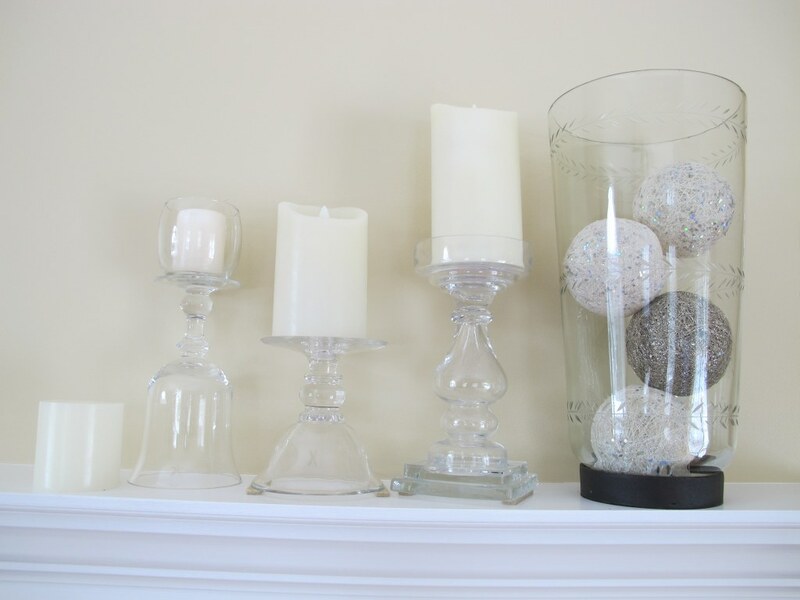 I also love that the vase fillers at each end of the mantel (i.e., potpourri mix and glitter balls) add a touch of color to the mantel. Fillers are awesome! 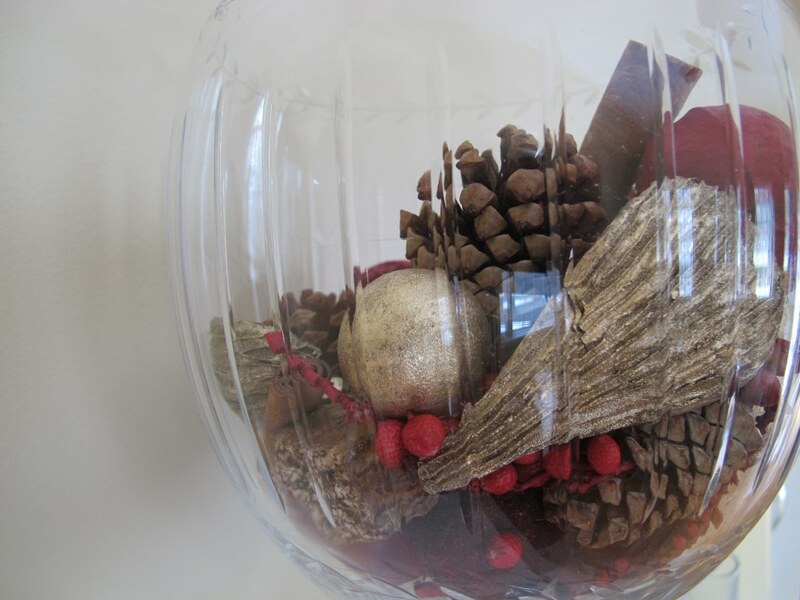 You can use any combination of glass container and filler that you like to coordinate with your own home decor. 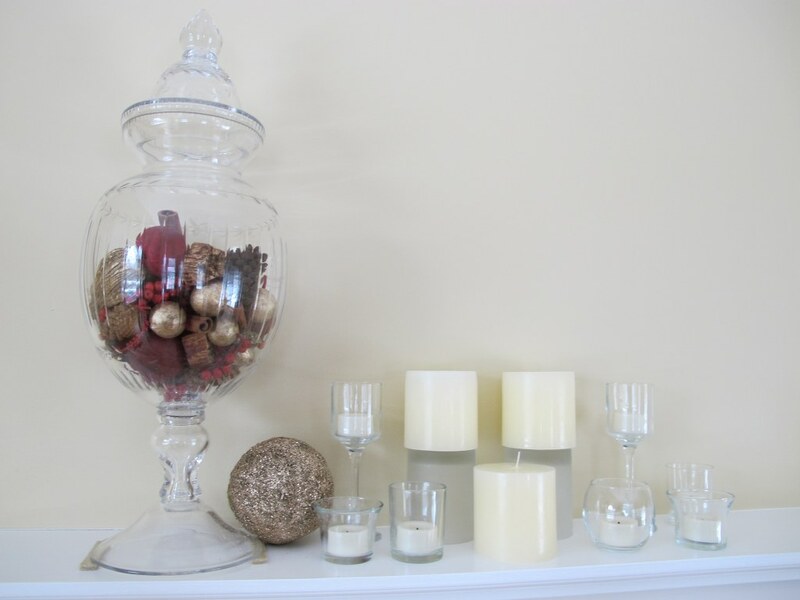 Using different kinds of fillers throughout the year will give any vignette a completely different look (even if you keep the same exact containers in the same spots, a different filler will give the vignette a whole new look). The glitter balls actually have sequins on them (not sure you can tell from the pictures) and when I have the candles on or the mantel lights on, the glitter gives a little added glam to the mantel. 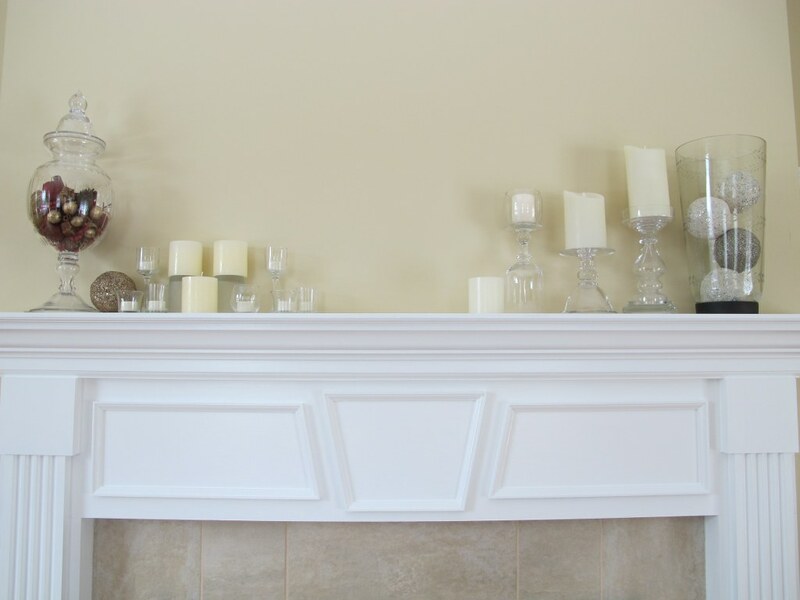 Thank you Better Homes and Gardens and Elegantly Untamed for inspiring my mantel decor.